Do you use YouTube videos to market your business? Are you wondering how you can get more viewers and engagement for your channel? 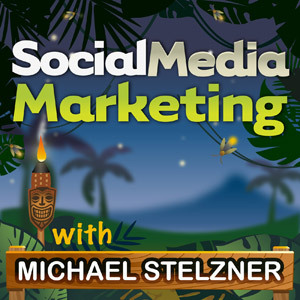 To learn about how YouTube can help you build your brand and authority, I interview Steve Spangler for this episode of the Social Media Marketing podcast. In this episode, I interview Steve Spangler, author of Fire Bubbles and Exploding Toothpaste and Naked Eggs and Flying Potatoes. He also has three YouTube shows focused on science experiments. 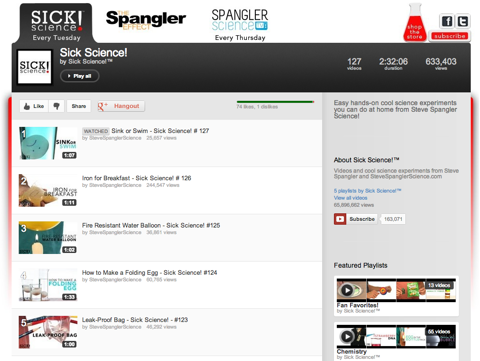 They include Sick Science, The Spangler Effect and Spangler Science TV. Steve shares how he uses YouTube to build his brand and business and his experiences along the way. You’ll learn how to measure feedback and metrics from your viewers to boost your video engagement and visibility. Steve shares his story of how he first started out, and along the way started working in television with Denver NBC affiliate KUSA-TV 9News as their Science Education Contributor. The post went viral. And he got called into the office at Gannett, because they wanted to know what he had done to shut down the server. The video got a million views on YouTube back then. Steve says that although you don’t get rich off of the video, you do acquire some business success when you find out what to do with the video or traffic. Listen to the show to find out how Steve’s Mentos experiment led to an agreement with Mentos to produce Geyzer tube related toys. Back in 2005, everyone was asking why you would put free content online. Steve had a feeling that it was the right thing to do. In 2007, he started uploading videos to YouTube because he believes that video helps brand awareness. Steve explains even though he has done television for 22 years and has made 1200 television appearances, he says that none of it compares to the quasi-celebrity you get with YouTube. There are people who know who you are, know your brand and are brought to your services because they see you on YouTube and they think that’s the authority. Listen to the show to find out why you don’t have to wait for anybody to give you that break and what you need instead. Steve’s YouTube page is the main landing page for his channels. You’ll find 600-700 videos. There are clips from old shows and old interviews. These are typically in a news format because that was the line of work he was in at the time. Sick Science was created because as a professional speaker, Steve is on the road a lot and his team needed to continue to pump content into the stream. Their editor and creator, Bradley Mayhew, came up with the idea to put the focus on the experiment and not the personality. The only difference from the previous format was that they show a science experiment and in the comment section ask people to tell how they think it works. This question at the end was a change from the format used on YouTube before then. Steve describes how he gained YouTube’s attention, which ultimately led to their offer for him to be one of the 100 funded channels. Steve's main landing page for his three YouTube channels. The Spangler Effect show started when YouTube came to him through Google and said, “What would happen if we gave you some money and had you do a show?” One of the things they wanted to do was take a simple science experiment, share the experiment and take it to extreme levels. Steve explains how the show is very different today from how they originally pitched it. The secret to a good show is to listen to your audience. As Steve had been in traditional television for many years, he received feedback from different channels. Today, you can use the analytics that are built into YouTube to immediately see what your viewers are doing. By watching the audience over the first 10 or 12 episodes, they noticed they needed to have something compelling in the first 20 seconds to grab people’s attention. This allowed them to do the opening and then sneak in the safety notice. You need a compelling opening so that you can establish credibility and authority. By the end of the first season, they managed to retain 87% of people up and through the 12-minute mark. This seems to be the magic time for the show. Listen to the show to learn more about how annotations can drive traffic and actions for your blog. An important shift came to Steve and his team when they discovered the need to identify with your real customer. They realized that the business they are in is targeted toward adults, teaching them to do cool experiments with their kids. At the very beginning to get word out about their YouTube videos, they used typical guerrilla marketing. They were able to build their list to 100,000. Steve believes that more than anything else, you need to get viewers to click the Subscribe button. When they subscribe to the channel, every time a new video is released, that list of people gets to see it. Get the viewers to click the Subscribe button. To increase retention, they segment their audience and invite people to subscribe to the channel that means the most to them. They have found their viewers want only one video a week. Some viewers don’t want to watch The Spangler Effect, they just want the other content. Listen to the show to find out about Steve’s marketing techniques and why you should create a channel and stick to a focus. Steve’s advice is to sit down and map out what you would like to see happen to the content online. What is the purpose of putting your content on YouTube? There are a number of professional speakers who are part of the National Speakers Association, who use YouTube to establish authority, not to sell products. Some people want to be the “go-to” person and use YouTube to prove to their audience that they truly are a thought leader. So instead of having a website for pushing information, they use YouTube instead. 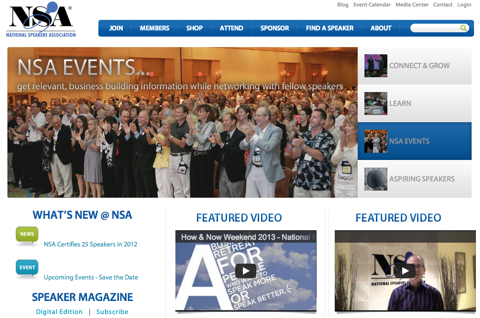 The National Speakers Association uses YouTube to gain authority. You need to have a very clear vision. It’s very difficult to put content on YouTube and then take it down. You have to be prepared for when your videos become successful. Listen to the show to hear Steve’s amazing story about Sick Science’s latest mention on The Today Show. Steve explains how YouTube gave them permission to stream live, so they use it in a way very similar to Ustream. Steve believes that this live-streaming functionality will grow, even if it’s through Google with Google Hangouts. Steve shares the story of the live show they did for Christmas, which they made to look like QVC. All you have to do is put the question out to the YouTube audience and ask them what they want. If you listen to them and respond, it’s amazing how loyal your following will become. Listen to the show to hear why it’s a wonderful way to interact with the YouTube audience. Francis, Andrea Vahl, who is our social media community manager, shares her thoughts. One thing you can do, if you have rebranded your company, is to make an official request to get a name change on both of those Pages you have with Facebook and then merge them into one Page. It can be a tricky process. You usually have to have some official documentation that shows you have rebranded, or that you have a new official name. If you don’t have this and you are going through a more unofficial branding change, then Andrea would recommend starting a new Page, like you did, but then taking the other two Pages and running some Promoted Posts to your fans of those Pages. 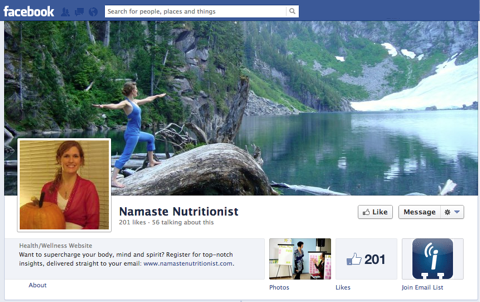 Inform them that you are moving and link to the new Namaste Nutritionist Page. I would also put in a link and a tag of your Page in that Promoted Post. Give people good reasons in that post why they should come over and like your new Page. The Promoted Post will then push this out into the news feed of all your fans. Listen to the show to hear more about Andrea’s suggestions for Francis. Look at who is attending: Microsoft, The Container Store, BMC Software, Omni Hotels, CUTCO Cutlery, Lennar, Fresh & Easy, USAA, Blue Cross/Blue Shield, Red Bull and AIG Life & Retirement. What do you think? What are your thoughts on using YouTube to build your brand? Please leave your comments below.